NEW 2017 G3 BAY 20 DLX POWERED BY A YAMAHA F115 MOTOR WITH SST PROP. COMES WITH LIVEWELL, WINDSHIELD, GRAB RAIL, WIRED FOR TROLLING MOTOR. AND ALUMINUM TRAILER WITH BRAKES. !! !CALL FOR SPECIAL PRICING!!! 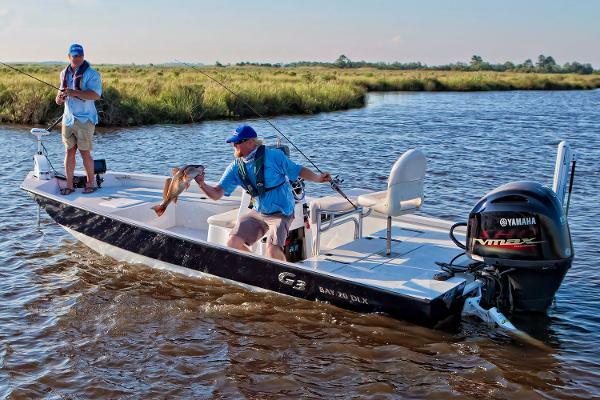 The flagship of the G3 Bay Series, the Bay 20 DLX model brings performance to a peak with a rugged all-aluminum .125 hull and a 150 HP rating. 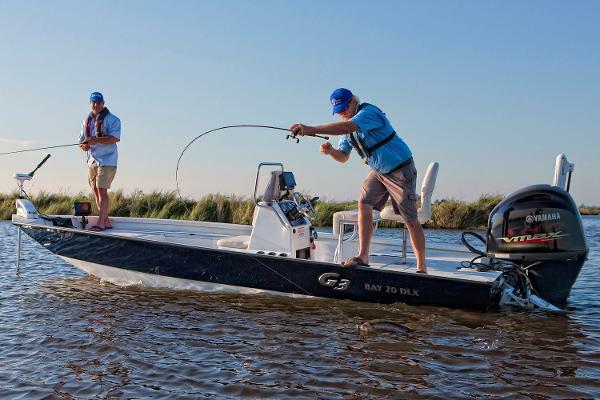 Match the new Yamaha F150 SHO motor with this high performance hull and you will have a hair-trigger hole shot and an impressive top end. Tuff Coat™ interior, hydraulic steering, two livewells that add up to 45 gallons of capacity, and a standard dual-axle aluminum trailer are only a few of the many features. 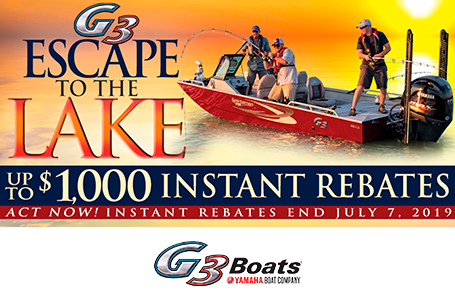 The flagship of the G3 Bay Series, the Bay 20 DLX model brings performance to a peak with a rugged all-aluminum .125 hull and a 150 HP rating. 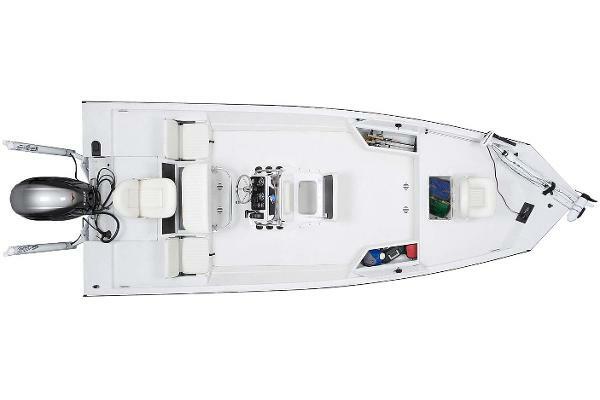 Match the Yamaha F150 SHO motor with this high performance hull and you will have a hair-trigger hole shot and an impressive top end. Tuff Coat™ interior, hydraulic steering, two livewells that add up to 45 gallons of capacity, and a standard dual-axle aluminum trailer are only a few of the many features. Boat Length: 20 ft. 3 in. Package Length: 24 ft. 10 in. Dry Hull Weight: 1360 lb. Max Weight Cap: 1850 lb. Livewell Dimensions: 15 in.x20 in. 14G. ; 14 in.x34 in. 31G. Lockable side storage boxes secure your gear while away from the boat. 14 gallon livewell in console doubles as a passenger seat. Leaning post with footrest has room for Captain and First Mate to stand together at the helm. 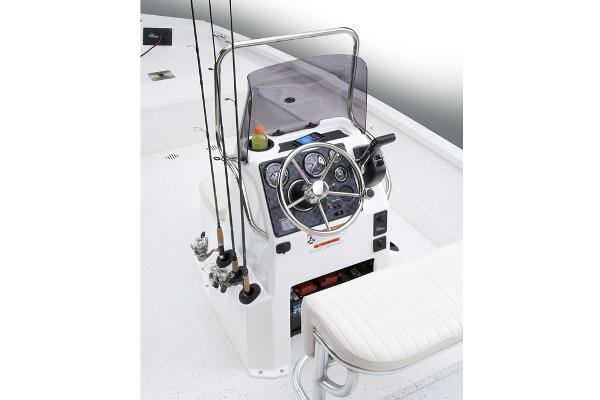 Console features stainless steering wheel, hydraulic steering and quality Faria® gauges. Optional Garmin® electronics available. 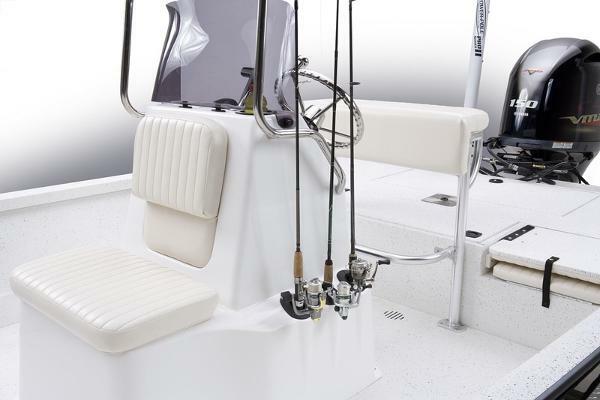 New spinner knob on Bay Boats adds to steering convenience.